Tina is an elite runner. Her PRs are 16:08 (5k), 33:24 (10k), 1:13 (Half Marathon), and 2:36 (Marathon). After growing the Run to the Top Podcast to over 150,000 downloads per month, she has gone after one of her passions; helping people to feel good about themselves, through a community called Running for Real. Her website is devoted to helping YOU feel good about your running and who YOU are, so you too, can be the best YOU can be! She wants you to Be Brave. Be Strong. Be You! Jason Altman is the Race Director for the Covenant Health Knoxville Marathon. The Covenant Health Knoxville Marathon is the Knoxville Track Club’s largest event. He has served as the Race Director since 2007. Prior to that time, he served as a volunteer for the event in 2006 and ran the inaugural marathon in 2005. In his role, Jason oversees all event operations including sponsorship recruitment, leading key volunteers, recruiting volunteers, and all race weekend logistics. 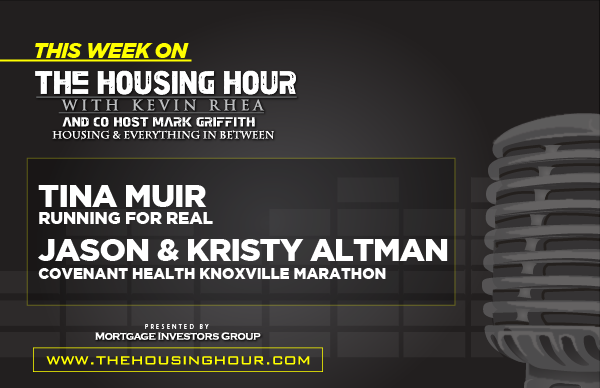 Kristy Altman is the Executive Director for Knoxville Track Club. KTC is a nonprofit organization whose mission is to encourage lifelong physical well-being through running and walking. The vision is “Healthy living, healthy community – one step at a time.” In her role, Kristy oversees all operations including 10 staff members, 1000s of volunteers, road and trail races, RunKNOX, social programming, youth programs including the newly formed Knoxville Youth Runs, Tennessee Sports Medicine Group Farragut Events and more.